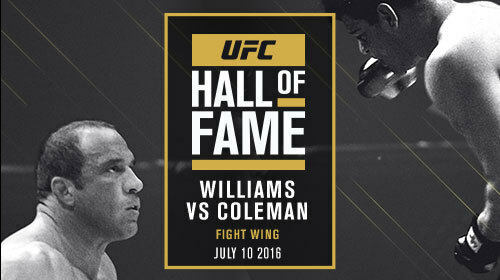 Pete Williams vs Mark Coleman UFC Hall of Fame Fight Wing Induction Jul 9, 2016 (21:21) Pete Williams head kick knockout of Mark Coleman was an iconic moment that helped to reshape MMA. 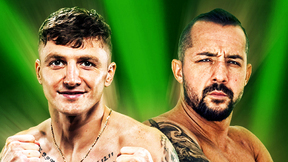 Watch as this legendary bout is enshrined in the UFC Hall of Fame Fight Wing by the two competitors themselves, as well as an induction by fellow UFC Hall of Famer Forrest Griffin. 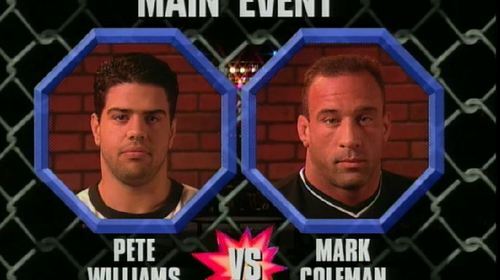 Pete Williams vs Mark Coleman UFC 17 May 15, 1998 (20:52) Twenty-two year old, Lions Den alumni, Pete Williams took on UFC superstar Mark Coleman on short notice at UFC 17.